At least he certainly OUGHT to have known that oral polio vaccines were discontinued in the U.S. due to their known contribution to vaccine-derived paralysis. The Bill and Melinda Gates Foundation created the GAVI alliance to push vaccinations on the poorest parts of the developing world in the name of “saving lives” and stopping disease. In April 2012, I reported on a disturbing claim in the Indian medical press that some 47,500 children had been paralyzed as a direct result of the polio vaccination campaign that had swept through their populous country. India’s National Polio Surveillance Project found that a sharp rise in the cases of non-polio paralysis correlated with areas where doses of oral polio vaccine were also increased. Worse, children afflicted with polio vaccine-derived non-polio paralysis “were at more than twice the risk of dying than those with wild polio infection,” according to Indian officials. Bill Gates has publicly denied that his vaccination campaign harmed anyone after being confronted by Truthstream Media’s Melissa Melton. In June 2013, a ten-month old baby in India made headlines after it was paralyzed from receiving a polio vaccine, all while Bollywood celebrities, reportedly hired by the Gates Foundation, were used to urge the public to accept the vaccinations. 1 Comment on "Did Bill Gates KNOW His Polio Vaccination Push Would Paralyze Children?" I wish all the uneducated and uncritical thinking would go away too. 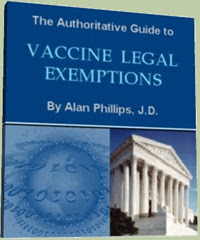 They obscure the rational reasons why vaccination is not an end-all cure-all proposition. There are many questions that science hasn’t answered. For example, what would be the difference in the overall quality of life in India if instead of spending $1 billion on vaccinations, that same money and energy were applied to running water, sewage and food production?